How easy the Internet makes everything. With just a few minutes of searching, and a click of a “Pay Now” button, you can order and send nearly anything, including flowers. There are some great flower sellers online that make it easy for you to send a floral gift to someone special. Many of them will even process a last-minute order for you, in case you’ve forgotten to buy a gift or have an immediate need like someone’s unexpected passing. FlowersFast.com – Make someone happy with flowers delivered the same day! From You Flowers – Custom arrangements in vases that make beautiful reminders of your sympathies, love or friendship. Amazon – Yes, Amazon delivers flowers, and you don’t have to pay delivery fees if you have a Prime account. ProFlowers – ProFlowers has long offered beautiful flowers for any occasion. 1-800-Flowers – This time-tested flower company offers an array of non-traditional arrangements and baskets of flowers at many price points. Florists – Search for the perfect flowers from stores local to you. Global Rose – You can send more than 100 roses for the same price you’d pay for a couple dozen at a traditional brick and mortar shop. Kremp Florist – Kremp sells rose petals and other unique floral gifts, and everything is reasonably priced. FTD – Choose from a large selection of unique flower arrangements made by local florists. 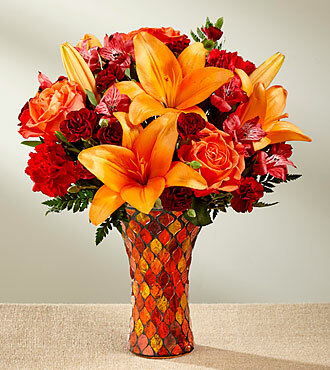 Teleflora – Order up until 3 p.m. and still have your order sent that day. Send Flowers – This online flower shop sends arrangements same day and they have a ton of great options. Other top online flower shops include KaBloom, The Ultimate Rose and Fifty Flowers.